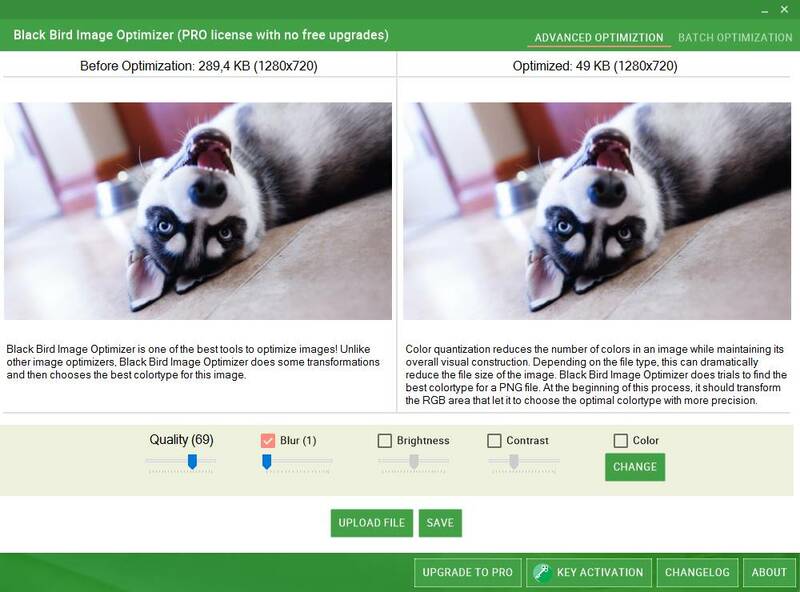 Optimize pictures without loss in quality. 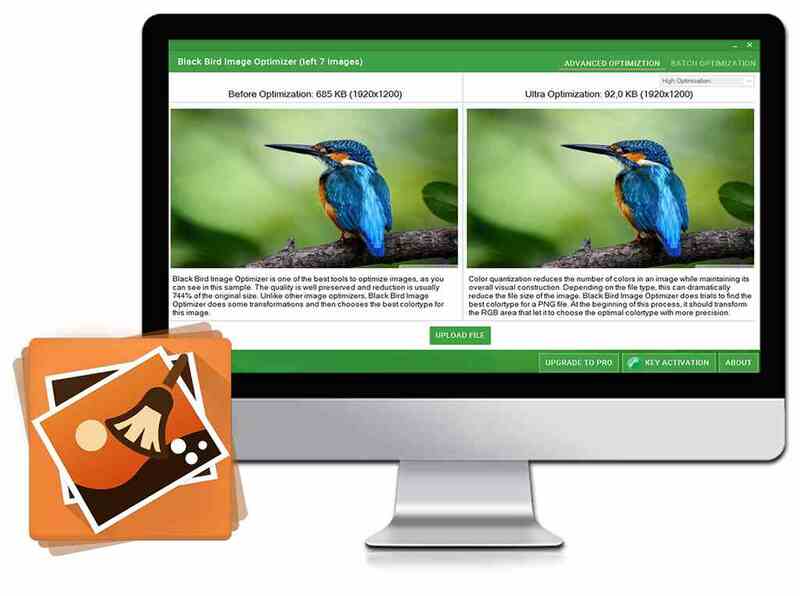 With Black Bird Image Optimizer - you can reduce the size of your photos several times without quality loss! 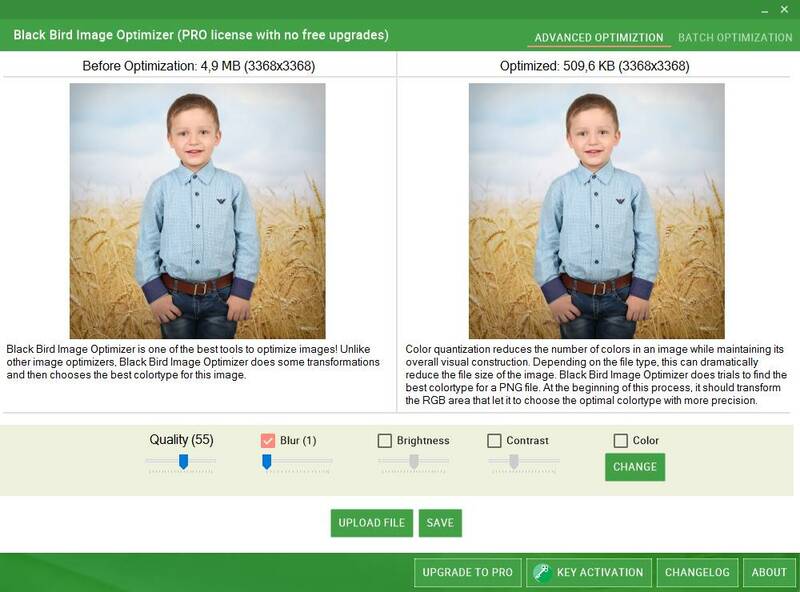 We use a completely new color quantization algorithms which are capable of lossless quality reduce the size of photos! Also, Black Bird Image Optimizer remove doesn't need to your metadata from images. Color quantization reduces the number of colors in an image while maintaining its overall visual construction. Depending on the file type, this can dramatically reduce the file size of the image. 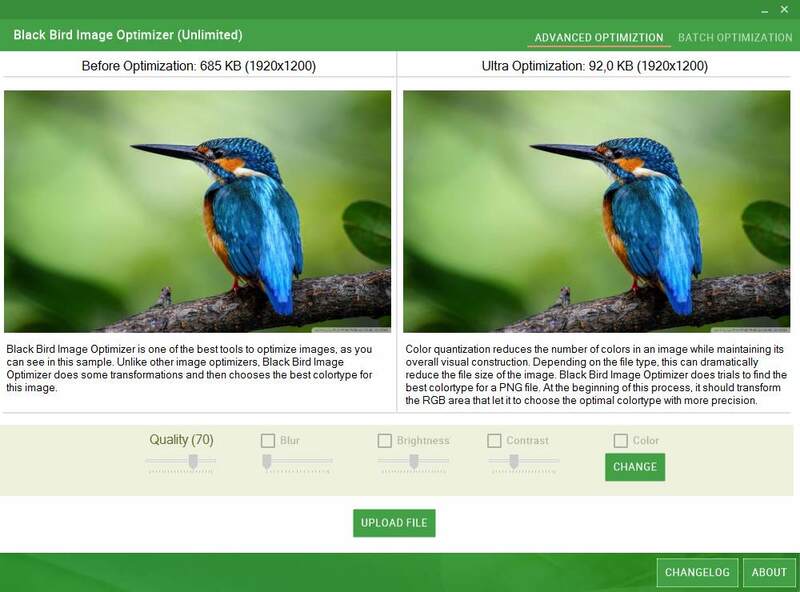 Black Bird Image Optimizer does trials to find the best colortype for a PNG file. At the beginning of this process, it should transform the RGB area that let it to choose the optimal colortype with more precision. © 2018 Black Bird Cleaner Software - All rights reserved. Get the chance to win the professional version absolutely free! The draw lasts once a month. We wish you success.